President Barack Obama's library will be built in Chicago, NBC News confirmed Thursday. Both The University of Chicago and the University of Illinois at Chicago placed bids. The final selection is expected to be connected to the University of Chicago, but the final site has not been settled upon. An official announcement is expected in early May. Columbia University in New York, and the University of Hawaii in Honolulu also offered bids. The University of Chicago had long been seen as the front-runner, and the foundation signaled its interest in the school's South Side proposal last month by commissioning a poll of area residents. "It can be on the South Side. It can be on the West Side, but it cannot be on the Upper West Side of Manhattan," Emanuel, Obama's former White House Chief of Staff, said while campaigning for a second term at City Hall. The site selection was expected to have been done earlier in the year but Obama delayed his decision in an effort to avoid politicizing his legacy project. He didn't want to inject the library announcement into Emanuel's challenge with Cook County Commissioner Jesus "Chuy" Garcia or be seen as giving Emanuel an unfair advantage, the Associated Press, citing sources, reported in early March. After Obama's foundation divulged concerns that the University of Chicago couldn't assure access to the park land where it wants to build, Emanuel orchestrated a plan to have the Chicago Parks District board transfer 20 acres to the city for the library's use. 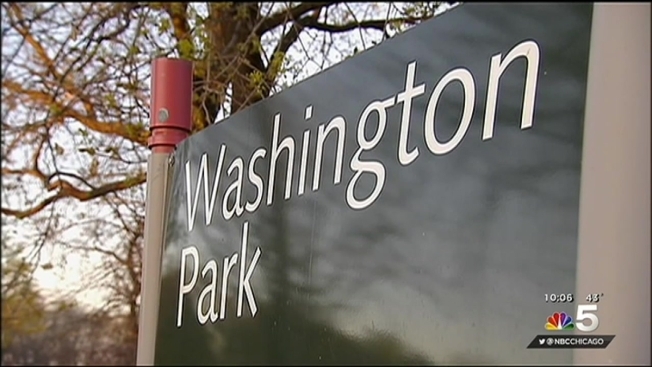 Democratic Sen. Kwame Raoul introduced a measure last week that would ensure the city has the legal authority to build on park land. His bill -- HB373 -- would clarify state law to expressly allow Chicago to construct museums on public park land or "formerly submerged lands." The legislation follows a lawsuit filed by the organization Friends of the Park, which sought to bar construction of the Obama library and George Lucas Museum of Narrative Art on public land. The leader of that group, Cassandra Francis, stepped down from her position but said she plans to stay connected to the cause of protecting Chicago's public parks and open spaces.